Welcome! 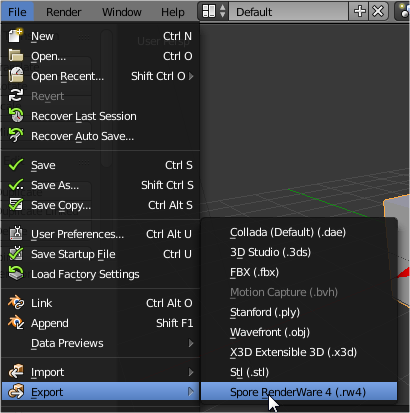 In this tutorial I will teach you how to export new parts for Spore using SporeModder Blender addons. This method allows us to use the latest version of Blender, create animated parts, building/vehicle parts and other types of models. In this tutorial I will only show you how to use the Blender addons, not how to use Blender itself (there are lots of better tutorials out there) nor how to make the part appear in Spore; for the later, I recommend you to unpack and explore Spore mods like BetterSpore or Spore Resurrection: Next Steps, to see how it's done there. 1. Unpack the file you've downloaded and copy the folder named "sporemodder". 2. Go to the folder where you've installed Blender. There will be a folder with your Blender version, for example 2.77a. Once inside that one, go to the folder scripts and inside there, go to addons. 3. Paste the sporemodder folder there. 4. 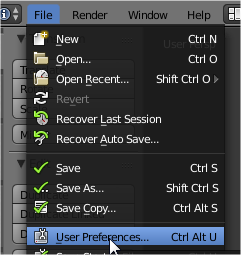 Now, open Blender and go to the File -> User Preferences... menu. To complete this tutorial some basic knowledge of Blender is required, like selecting objects and changing the editors. Nonetheless, there's a condition you need to export: UV maps. 1. In the bottom left corner, there's an icon of a clock. 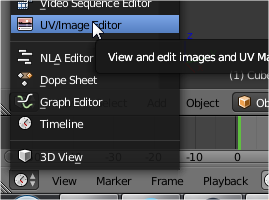 Click on it and in the menu that appears, select UV/Image Editor. 3. 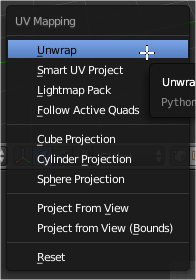 In the main editor, press the key U and in the menu that displays, choose Unwrap. This will create a basic UV map. If you have already made a texture for your model (the texture must be in the .dds format, DXT5), we can add it to the model so it's shown in Spore. For creature parts, this texture only displays in the editor "Build Mode". 1. Select your model and, in the rightmost panel, go to the Material tab ( ). 2. 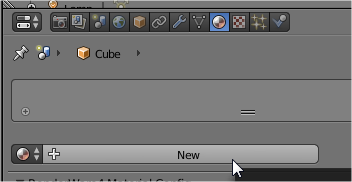 If your model doesn't have a material, create a new one pressing "New". Models can't export without a material. 3. If you scroll down the panel, we'll reach a smaller panel, "RenderWare4 Material Config". From there, the only property we're interested in at the moment is Diffuse texture: . There you find the file you want to use as the texture. It's recommended to use as dimensions powers of 2, like 128x256, 1024x1024, etc. For creature parts, Spore uses textures of 64x64. If you don't specify any texture, a transparent one will be used (so the part will use the creature color). It's recommended that, for creature parts, you only use one object. To merge multiple objects into one, select all them and press Ctrl + J. 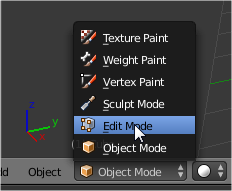 This happens because any changes made in "Object Mode" won't be applied when exporting the model. To apply those changes, in the main editor, go to the Object -> Apply menu and there, select Location (if you want to apply the object's position), Rotation (if you want to apply the object's rotation), or Scale (if you want to apply the object's size). "Error: No materials are used in object Cube"
* Morphs, those arrows that let us change the shape of the part. To animate the parts, Spore uses a method known as "Skeletal animation". Basically, it consists in creating an "skeleton" for the model and then animating that skeleton. In this tutorial we won't explain how to create those animations in Blender, since there are lots of better tutorials for that. However, there's something you must see before creating animations. 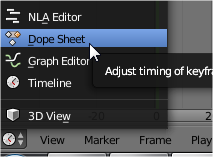 To create the animations, you must go to the Dope Sheet editor. Once there, you must change the mode to Action Editor. To create an animation, you just have to click on New. 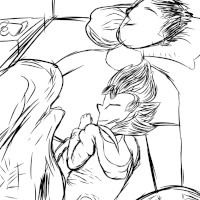 The name of the animation is important and varies depending on what you want to do; the used names will be explained later. Warning: Next to the animation name, there's an F. Ensure it's selected for every animation, because if it isn't it might not get saved. Generally, all part animations last 1.25 seconds (that is, 30 frames). Please note that they start on frame 0, and end on frame 30. Cell eye 0x89E06A31 Open the eye. Cell mouth 0x89E06A31 Open the mouth. Eye 0x89E06A31 Open the eye. Grasper 0x89E06A31 Open the grasper. Mouth 0x89E06A31 Open the mouth. To make an animation be considered a morph, you must mark it as a morph. To do that, we go to the Scene tab ( ) in the right panel. Once there, at the bottom, we'll find a list with all the animations. Select the one you want to use as a morph and check Use this animations as a morph handle. Initial position: Controls the coordinates where the moprh handle on frame 0. Final position: Controls the coordinates where the moprh handle on frame 30. Default frame: Controls the frame the morph is on by default. 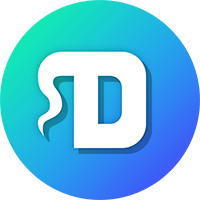 DeformAxisForward, DeformAxisLeft, DeformAxisRight, DeformAxisUp and DeformAxisDown. 1. Select your model and, in the right panel, go to the Material tab ( ). Skinpaint part: A creature/cell/plant part. Mineralpaint part: A building/vehicle part. Object model: An static models, like those used in adventures. No material: We don't really know what it is for, it might not work correctly. Material group: This property makes the part have multiple areas to paint. Use paint's texture: If it's not selected, you will only be able to change the area's color, and not the texture. As you can see, each area has a different Material group, and the gray zone doesn't have Use paint's texture selected. The other two properties, Tiling and Projection mode, control how the paint texture is applied to the part, but we still don't quite know how they work. Normal texture: This texture is used to simulate bumps in the model. For more information, check Normal mapping. There's no need to specify any texture. 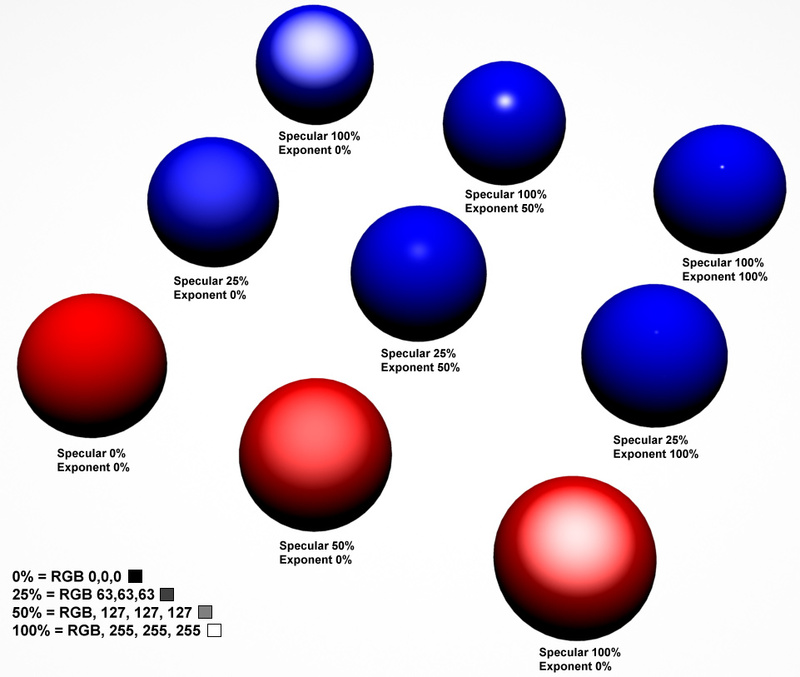 The other four properties, Specular exponent, Specular strength, Gloss y unkFloat3 control how lighting affects the model; we still don't quite know how they work. I think that's all; for any problem or doubt, just ask! Specular Exponent: should change how the shinyness applies over the whole mesh, or the "tightness" of the shine highlight. smaller values concentrate the shine into a smaller highlight, larger values create a broader, more uniform shine. Specular Strength: likely adjusts the overall opacity and brightness of the shine or highlight. higher values are brighter and more prominent, lower values are more transparent. think of it as a modifier for the specular mask. I'm glad all the animation names are here. it will really help with my mod... I didn't know the same animation name was used for graspers and eyes as well as mouths. That's really helpful, because I am branching off from mouths and making different parts now. Just a question on animations, since I'm not seeing any names for "close," am I correct in thinking that for a mouth you would only need the "open mouth" animation for both opening and closing? That is the game doesn't actually play the animation from beginning to end but moves through it depending on how wide open the mouth needs to be? tklarenb wrote: Just a question on animations, since I'm not seeing any names for "close," am I correct in thinking that for a mouth you would only need the "open mouth" animation for both opening and closing? That is the game doesn't actually play the animation from beginning to end but moves through it depending on how wide open the mouth needs to be? Yes, I think that's what it does. If I remember correctly, at frame 0 the mouth is closed and at frame 30 it's opened. I managed to get the mouth close animation on a modded T. rex head, but I'm running into two issues. First, the mouth doesn't seem to want to be partially open, when a vanilla mouth is only partway open the modded mouth opens all the way. Second, I'm getting some weird deformations in the jaw, the strange part being it's only part of the jaw, the area in the snout is fine but around the jaw hinge it's stretched out sideways. Here's a pic showing the issue as well as my rig setup in Blender in case that's the source of the issue (I barely use Blender so I don't know if there's some stuff I should be aware of that's different from my usual 3ds Max). tklarenb wrote: I managed to get the mouth close animation on a modded T. rex head, but I'm running into two issues. First, the mouth doesn't seem to want to be partially open, when a vanilla mouth is only partway open the modded mouth opens all the way. Second, I'm getting some weird deformations in the jaw, the strange part being it's only part of the jaw, the area in the snout is fine but around the jaw hinge it's stretched out sideways. Here's a pic showing the issue as well as my rig setup in Blender in case that's the source of the issue (I barely use Blender so I don't know if there's some stuff I should be aware of that's different from my usual 3ds Max). Does the root bone start at (0, 0, 0)? No, it does not, 0 is where the jaw and skull bones branch from the root bone, wasn't aware I should have it start at 0. The addons are still very untested so they might have bugs. Could you send me the .blend file for that part so i cant ry to investigate what happens, please? Emd4600 [ASR] wrote: The addons are still very untested so they might have bugs. Could you send me the .blend file for that part so i cant ry to investigate what happens, please? Emd4600 [ASR] wrote: Yes, I think that's what it does. If I remember correctly, at frame 0 the mouth is closed and at frame 30 it's opened. in that case, you can also make it be a more complex animation in which the model does something different at halfway open than fully open... interesting. I assume this means the animation could also just have min-max frames as 0 and 1.
here's a visual example I pulled from the valve dev wiki. just think of whats labeled "specular" as the strength. You can have the min-max frames as 0 and 1, but the number of frames determines the length of the animation. So that would be only 0.042 seconds long. And keep in mind that I'm not sure those values are actually Specular exponent and such, that's still to be fully tested. Managed to figure out how to fix the stretching problem, I just didn't catch it at first since I'm used to 3ds max skinning compared to Blender skinning. 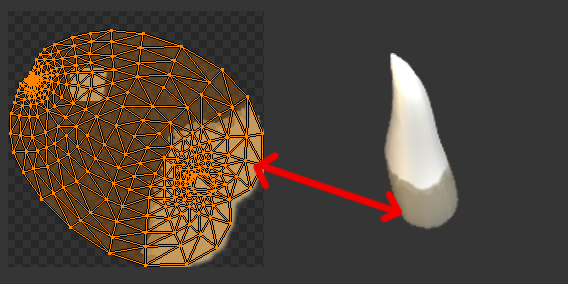 3ds max automatically normalizes vertex weights, while Blender doesn't, so the vertexes that were connected to more than one bone had weights that added up to more than 1. For anyone else who has that problem just click the "normalize all" button in the weight paint tools tab. Sorry for the double post, but I've run into another problem. I've got several mouth parts, each with just the mouth open animation. They all work perfectly fine in the editor, but in game they don't animate. I'm not sure exactly what I could be missing, I've dug through SRNS and several other mods with animated parts and am not finding any differences between their files and mine. Has anyone else had experience with this problem? Copy the models to the "part_models_lod1~" folder. rob55rod wrote: Copy the models to the "part_models_lod1~" folder. I had assumed that was the problem so I already tried that before posting here, but it doesn't appear to have done anything. Yeah, I'll tell Emd to check this thread, hopefully he'll have an answer or something.